For some reason, the months of July five and ten years ago managed to come up with some very unusual looking handsets, one of which turned out to be a design icon. 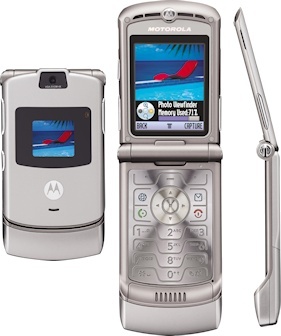 The iconic Motorola RAZR V3 was launched ten years ago this month, a phone that was both beautiful to look at but horrible to use, the RAZR changed attitudes to they way that premium phones should be designed. 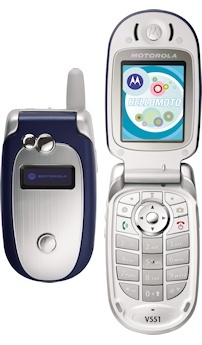 The RAZR was based on the V500-series, and the Motorola V551 / V555 was the latest iteration of this conservatively-designed but still attractive clamshell phone. The Motorola A780 was an unusual Linux smartphone with a flip cover, which might have been more of a success if it had taken some design tips from the RAZR. 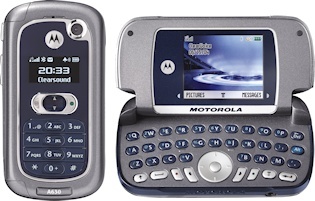 Another radical idea was the Motorola A630 clamshell messaging phone with two screens and a tiny QWERTY keyboard. 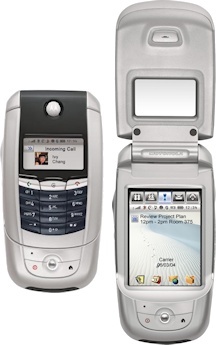 The A780 needed to beat the class leader of the time, the Sony Ericsson P910. 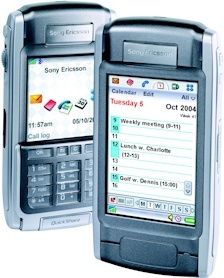 Sony Ericsson had a comfortable lead in the touchscreen smartphone market at the time, but subsequent models tended to disappoint. Another contender against the P910 was the HTC Blue Angel (sold under various names including the T-Mobile MDA III). With a big 3.5" screen and WiFi support, the Blue Angel demonstrated clearly that HTC were developing into a major force. A completely different phone, the NEC E228 was an early 3G device that sold well, partly because there was very little competition in the market at the time. We also looked at Panasonic's efforts in the market with a range of phones that looked good but were deeply uncompetitive underneath, and we speculated that it might be Panasonic's last stand. Panasonic pulled out of the market in 2005, with a brief but unsuccessful attempt to return to the smartphone market in 2012. 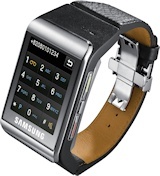 Five years ago there was a sudden rush of watch phones coming to market, and the Samsung S9110 was Samsung's attempt in this area - it caused quite a buzz but garnered very few sales.. but as a result it is quite a desirable device today, coming in at €300 to €450 on the second-hand market. 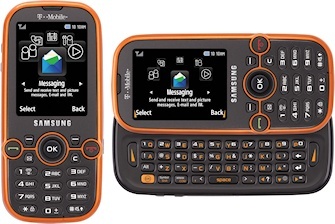 It was a month of unconventional phones - the Samsung Gravity 2 was exclusive to T-Mobile in the US and was a normal-looking phone with an unexpected slide-out QWERTY keyboard. 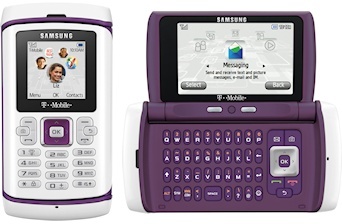 The Samsung Comeback looked rather squashed, but opened up to look rather like a Sidekick device, again exclusively for T-Mobile in the US. 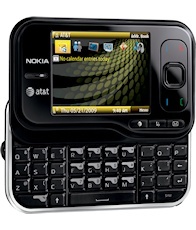 The Nokia Surge (aka the Nokia 6790) and Nokia 6760 were a pair of slightly odd-looking QWERTY sliders, with the Surge heading exclusively to AT&T in the US. Rather more normal looking was the Nokia 3720 Classic, but in fact underneath this was a water-resistant and shock-resistant phone which was one of the toughest on the market. 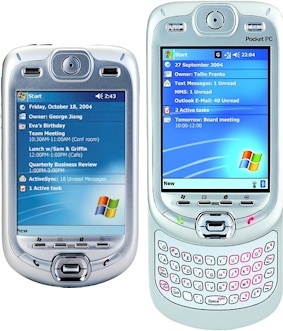 The Palm Pre came to Europe.. but in the end hardly anyone cared. More successful was the BlackBerry Curve 8520, an unexciting but popular addition to RIM's range of messaging smartphones. 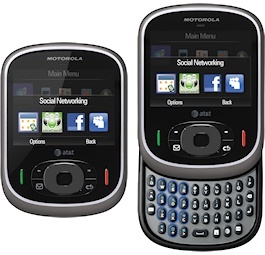 Another pair of odd-looking phones, the LG BL40 Chocolate was a long and thin touchscreen feature phone, and the Motorola Karma QA1 was a squat-looking thing heading to AT&T in the US where it was very welcome to stay. 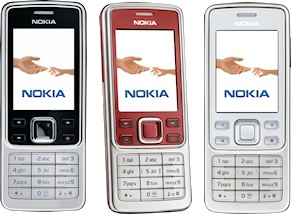 A notable departure this month was the Nokia 6300 which was finally taken off the market after two-and-a-half years. One of the most attractive and memorable phones in Nokia's catalogue in the past decade, the Nokia 6300 was also a massive sales success.